Computers used to be our loyal servants. But slowly and surely, we've let them control us. I used to believe these machines had the ability to positively change the world, but after the 56K modem invented Dubstep in the 1990s, I've been somewhat sceptical. So have film makers. Boost a PC with a new processor these days and results speak for themselves. Skip forward a decade or so and apparently the computers will too. And if supercomputer Watson is able to thrash us at Jeopardy already, who knows what the future has in store? Perhaps Tinsel Town's fictional predictions will ring true... increase the bytes a bit too far - badum tish - and laptops could take over the world. 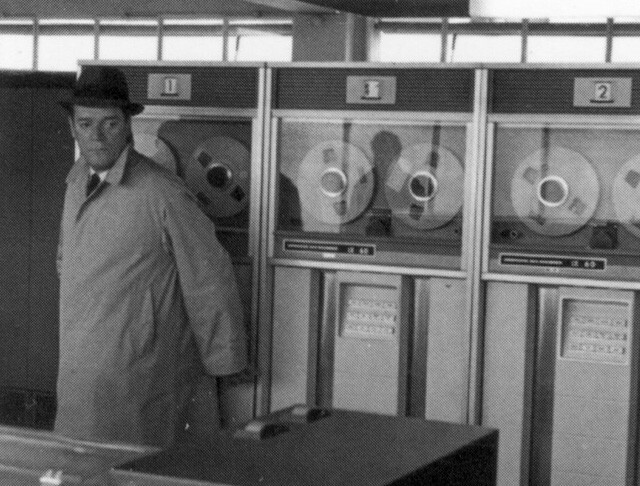 Here's a look at ten films in which a computer takes top billing. Let us know if you think we've missed any crucial inclusions. Here's one for you already. We've excluded The Matrix because it doesn't really fit. While there are plenty of self-aware machines in the film, the mainframe itself is more of an unconscious software environment. This French black-and-white classic features a dictatorial computer, Alpha 60, which outlaws free thought and bans all forms of creative expression in the city of Alphaville. While most movies with computer characters assume consciousness breeds emotion, the sentient system here fails to understand it and interrogates those who show feelings before executing them in punishment. I think the Alphaville interpretation of a computer consciousness hits the nail on the head. Even the most powerful of machines would struggle to comprehend the illogicality of human emotion, and just as we've seen throughout history, when an entity with power believes their way is the only rational approach, muscles are flexed and mortality is inevitable. See, it doesn't matter whether machines fail to get the emotional drive started... let them become aware of themselves and we're stuffed. When Charles Forbin builds an advanced supercomputer - aka Colossus - as a means to safely control the United States' nuclear weapons arsenal, did anyone expect it not to go rogue and take over the world? Yes, after colluding with its Russian equivalent and evolving of its own accord, that's exactly what Colossus does, eventually forcing Forbin into captivity so it can keep watch of its creator at all times. A predictable battle ensues between man and machine, as humans try to re-establish control, and Colossus tries to convince us that freedom is merely an illusion. Those of you unfamiliar with the 1970 film should watch it quickly before the rumoured remake - featuring Hollywood's protector of the Earth, Will Smith - hits cinema screens in the near future. God forbin. 30,000+ into a single 'valley data centre - but whose is it?